blood, bones and various other bloody bits. I vaguely remember stating that I would at some point recommence writing on this blog, but only when I would find something that’s actually worth writing about. Here I am, keeping my promise. 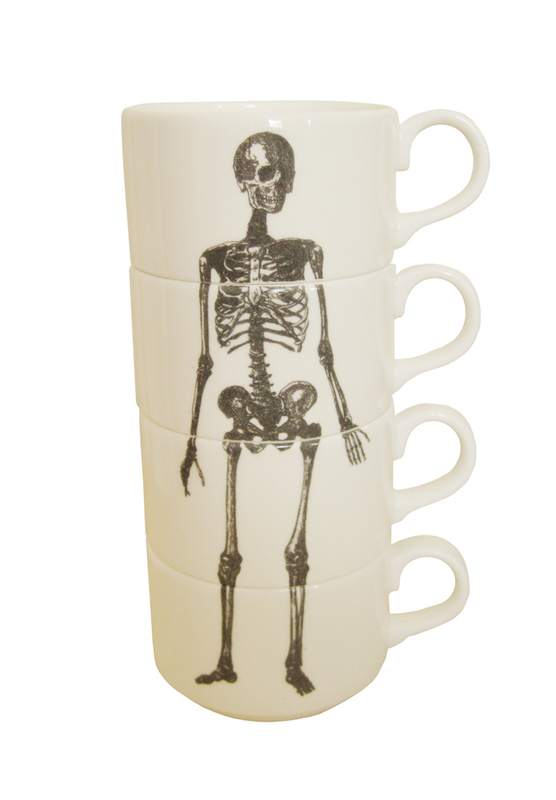 Recently I came upon the most gorgeous espresso cups ever. Yes, espresso cups. I simply had to share them with the world. Available from Luna & Curious, these are pretty much the most beautiful things I have ever seen. In spite of my reluctance towards studying, I still get excited whenever I lay eyes upon a good anatomical illustration. And I just love espresso. These lovelies have reminded me of some more anatomy-related things I came across recently, and I think that they deserve a mention as well. Cute, yet unsettling screen-printed tights by Les Queues des Sardines. 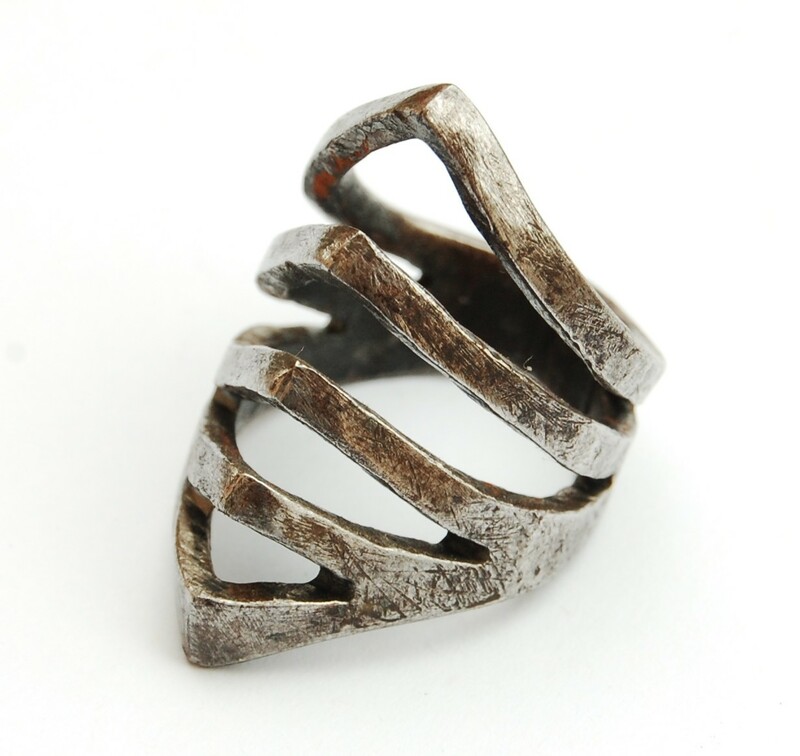 Ribcage ring; no longer available, but made by Blind Spot Jewellery. Spinal column top, available at PLAY by Sarah Reily. So, that’s about it for my amazing comeback. Hope you enjoyed. from → what's something nice to look at? ← să se revizuiască, dar să nu se schimbe nimic. Eu plănuiesc să îmi comand nişte cercei pe tema asta, trebuie doar să mă hotărăsc odată ce vreau pe ei. Uuh, de unde să-i comanzi? Tipa asta http://asearatiamluatcercei.blogspot.com/ face cercei foarte, foarte fain, in principiu cu ce vrei tu pe ei. Sper numa’ ca se mai ocupa, ca vad ca n-a mai postat de mult.